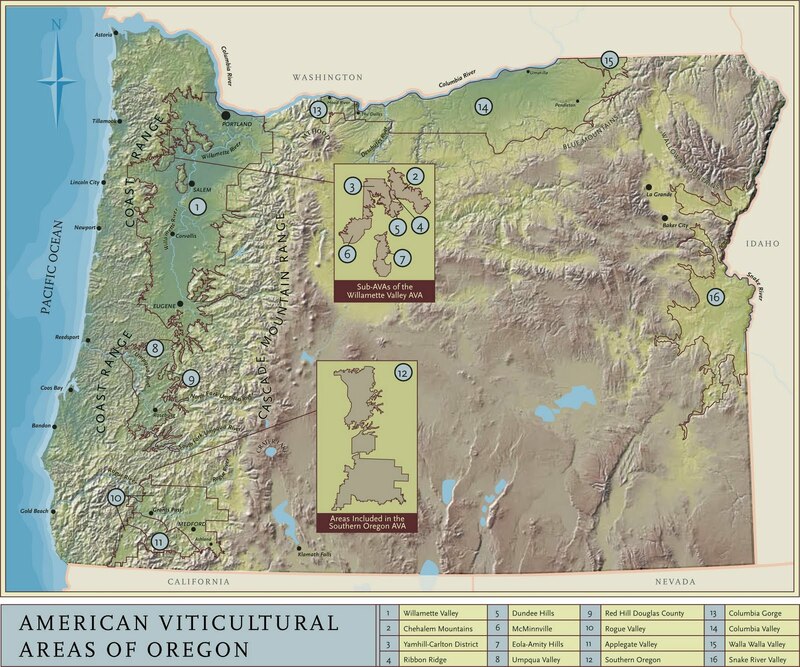 Oregon’s recently released 2008 Pinots are garnering some serious buzz. "In the 2008's, you've got the best vintage Oregon has ever produced, the kind of vintage Oregon winemakers always hoped they could produce." Harvey Steiman, Wine Spectator. With that in mind, the time was right for The Oregon Wine Blog to explore this vintage in our Taste of Terroir series. To many wine drinkers, Oregon Pinot is Oregon Pinot, but that's too large a generalization. The Willamette Valley is certainly what people think of, but there's so much variety within the Valley itself that the sub AVAs provide an exploration of the valleys, elevations, soil types and micro-climates - and that's just what we hope to do with the 2008 Oregon Pinot Noir tasting. We've even got a Pinot from the Umpqua Valley. This two-part post will start on the Northern end of the Valley in the Chehalem Mountains. As we progress, we'll pass through Ribbon Ridge, Yamhill-Carlton District, the Dundee Hills, McMinnville and the Eola-Amity Hills AVAs, and as we work our way South we’ll end in the Umpqua Valley. 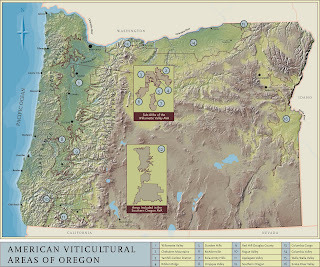 Oregon’s Willamette Valley, 100 miles long and about 60 miles wide, was first declared an American Viticultural Area (AVA) in 1984. Since then, it's become known as one of the greatest places in the world to grow Pinot Noir. Other varietals that do well in the Willamette Valley include Chardonnay, Riesling, Pinot Blanc and Pinot Gris. The Chehalem Mountains AVA rests on the far North end of the Willamette Valley and serves as the guardian to the rest of the Valley of the harsher weather that comes in from the Columbia River Gorge. The area is marked by great variation of soil types within the AVA, with volcanic basalt creating the foundation for much of the area's clay and silt, marine sediment and sandstone. The area’s soil is also comprised of a windblown silt, or loess. The AVA was granted designation in 2006 and has around 1,600 planted acres of vineyard. The AVA Association has a great website here. Our Chehalem Mountains representative was a personal favorite: Anam Cara Cellars 2008 Nicholas Estate. The Nicholas Estate vineyard (LIVE certified) is probably one of the most distinctive vineyards I've sampled in Oregon when it comes to displaying terroir. The site is a former hazelnut and walnut farm, has unique characters that are present, particularly on the nose of the wine. The 2008 was no exception. The wine started out with a smokey, earthen nose, hints of moss and forest floor as well as pepper and toasted spice that speak more to the site than the use of newer oak. This wine saw less than 20% new oak. This elegant Pinot delivers brighter red fruits and a hint of that spice from the nose on the palate. The Nicholas Estate is a blend of 5 clones, nearly 40% 667, though Pommard, 115, 114 and 777 all make up the wine. The wine was named in the Top 100 by the San Francisco Chronicle and will retail at around $30. Within the Chehalem Mountains AVA lies Oregon's smallest AVA, Ribbon Ridge. Ribbon Ridge was planted in 1980 by Harry Peterson-Nedry, owner and winemaker at Chehalem Winery. The AVA is only three and half miles long and 1 and 3/4 mile wide and it sticks up out of the valley floor at 683 ft of elevation. Its comprised of a younger soil, a silty clay loam of the Willakenzie type, drains exceptionally well and is perfect for viticulture. There are only 350 acres planted in Ribbon Ridge and the first vineyard was Ridgecrest, at 55 acres, Ribbon Ridge was designated in 2005. We sampled two wines from Ribbon Ridge, the Chehalem 2008 Reserve and the Chehalem Ridgecrest Vineyard Pinot Noirs. Both of these wines exhibit a bigger style and excellent acidity that come across right away. These are wines that will lay down that much is clear. The Ridgecrest Vineyard 2008 came across with spice and smoke from oak on the nose. The palate gave way to prominent tannins, certainly in comparison to the Anam Cara. The wine is really well put together and we found it to be one of the favorites among the guests. The dark red fruit on this nicely balanced wine made it a beautiful example of Oregon Pinot. The Chehalem Reserve 2008, is not yet released and was even bigger than the Ridgecrest and exhibited significant tannins. Bright fruit notes and even some of the oak on the palate, guests found the nose to have herbal notes, and fennel or licorice came up many times. This is a big and really impressively structured wine. Certainly drinking very well now but this wine held the most promise for tomorrow of the 2008s we tasted. I would love to taste this wine again in a few years. Both of the examples from Ribbon Ridge were nice examples not only of what the AVA has to offer but also spoke to the experience and innovation of Harry Peterson-Nedry and the amazing things that are coming from Chehalem. Wines with incredible structure and finish. Impressive. Our journey through the 2008 vintage Oregon Pinot Noir continues in Part 2 coming later this week. Nice to read something about the break down of AVA characteristics in Oregon. As Meadows would say, the way forward with PN is in understanding the terroir . Interested to read part 2. Excellent post! Working in Ribbon Ridge is a real treat (aside from the dirt road). Both Chehalem and RR make some excellent wines, and this is a good overview of the two AVAs. I'm happy to see this, especially as my new guide to the Willamette Valley gets released in the coming weeks on AGWine guides! Look forward to more posts. Cheers! Great breakdown. I recently tasted the Patricia Green Estate Pinot Noir from Ribbon Ridge and it was sensational. Nice post---on to part II.